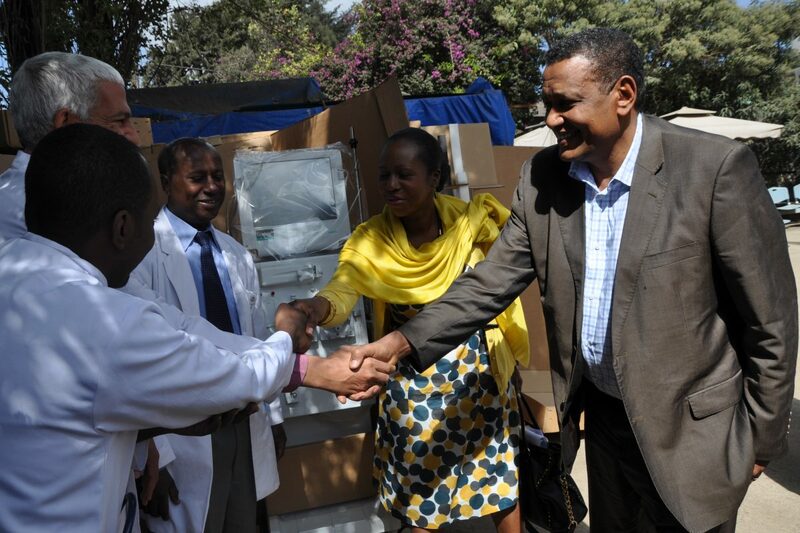 Addis Ababa, 19 December 2017:-UNHCR, the UN Refugee Agency, today donated four haemodialysis machines to St. Paul Hospital Millennium Medical College (SPHMC), as part of the agency’s effort to strengthen national institutions to be able to serve Ethiopians and refugees better. Valued at USD$ 98,256 (2.7 million Birr) the machines are expected to bolster the capacity of the Renal Unit of the public hospital and help it provide the life-sustaining service to more patients at a reasonable cost. The UNHCR Representative in Ethiopia, Clementine Nkweta-Salami, thanked the management of the hospital for catering to the health needs of refugees as well as Ethiopians, and said the donation was made as a gesture of goodwill and in recognition of the hospital’s commendable role in making the critical service accessible to both communities. She said health is one of the key services UNHCR provides to refugees and “as we try to support refugees, we do it in such a way that it also benefits the Ethiopian communities hosting them in line with the Comprehensive Refugee Response Framework (CRRF)”. Chronic renal disease deprives the body of the ability to filter chemical waste out of the blood and into the urine, which is the main function of the kidneys. The machines donated today will help the hospital enhance its much needed renal haemodialysis procedure to patients with chronic kidney problems. Ato Zeynu Jemal, the Deputy Director of the Administration for Refugee and Returnee Affairs Affairs (ARRA), said easing the burden of refugee-hosting communities is one of the pillars of the CRRF, adding that today’s donation was in line with this aspiration. “The government’s 10-year strategic vision to integrate refugees in the country begins with integrating services such as health,” he said and added, “This support from UNHCR is an indication that our 10-year journey begins well”. 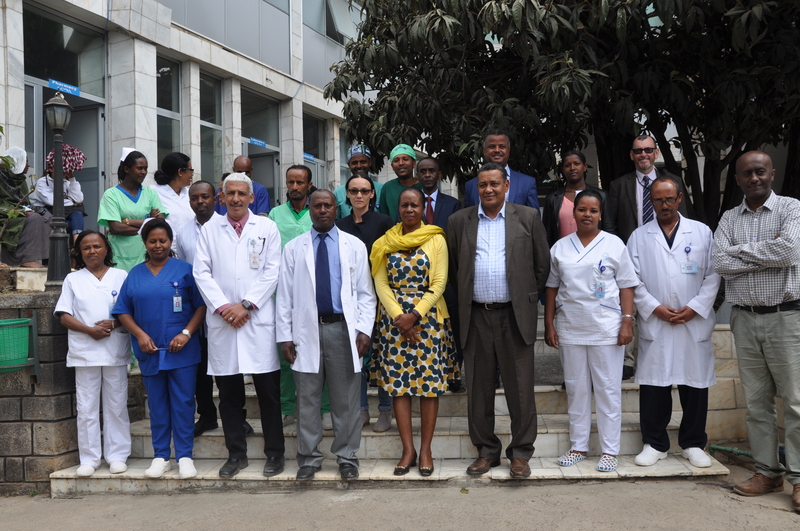 Dr. Alemayehu Tegegn, vice director of SPHMC, said his is among the few public facilities providing mature renal dialyses services to renal patients, including refugees, but there is a huge mismatch between demand and the hospital’s ability to meet those demands. He thanked UNHCR for the support and expressed hope that similar support would continue in the future. Ethiopia hosts close to 900,000 refugees and the government has pledged to take a number of actions to improve their lives, including through enhancing their access to basic services such as health. Last month, the government formally launched the CRRF, a global initiative to support refugees and their hosts to prosper together. This has paved the way for the the government to implement the nine pledges it made at the Leaders’ Summit on Refugees in September 2016 in New York.